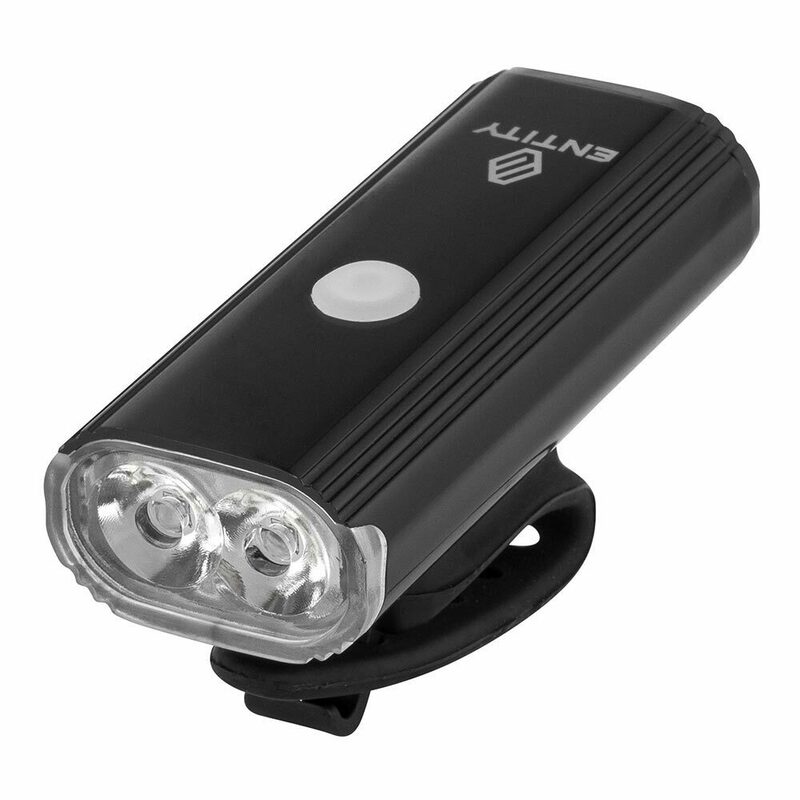 The Entity HL800 Front Light utilises 2 powerful Cree XPG LEDs for a total of 800 lumens of focused light, keeping your way lit up even on the darkest of roads and trails. 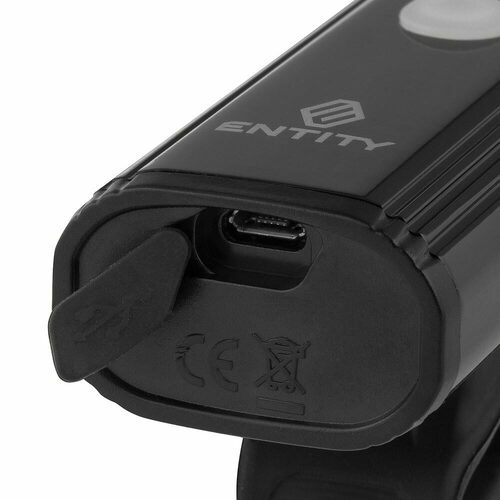 Small cutaways on the side of the lens ensure a 180 degree visibility, enhancing safety on busy roads with traffic coming from all directions. The durable aluminium body dissipates heat efficiently whilst keeping the internals dry in wet weather, allowing the Entity HL800 to boast an IPX4 waterproof rating. 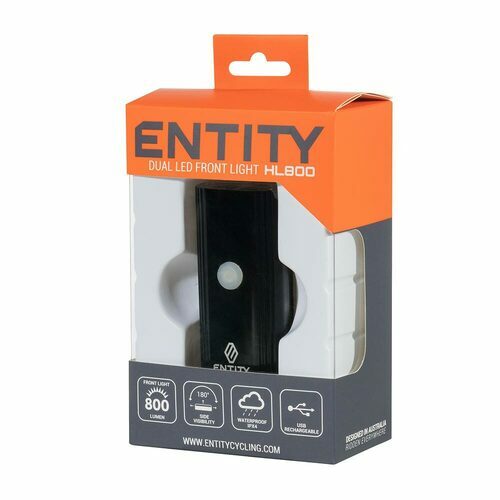 As you would expect, the Entity HL800 is USB rechargeable, offers tool free installation and infinite angle adjustability plus features an indicator light to clearly warn when the huge 4000Mah battery is running low. 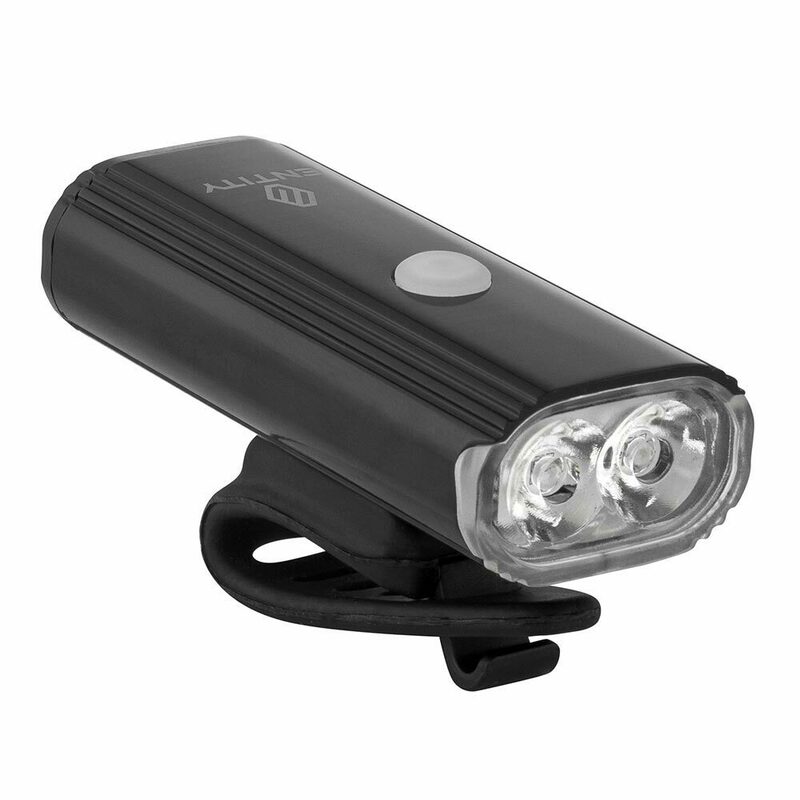 The 4 flashing and 4 steady modes are each cycled through with a single button press, then changed between flashing and steady with a double click. 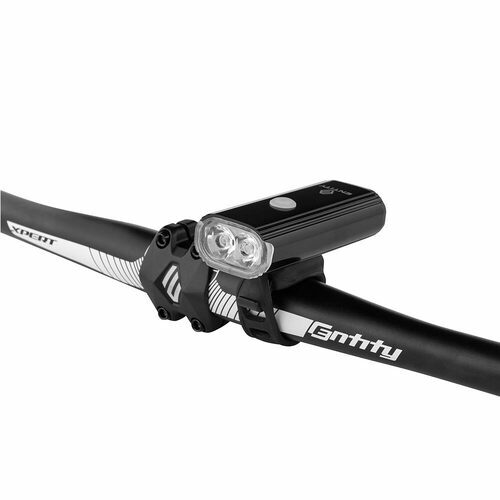 With a maximum burn time of 30 hours on Steady mode and 90 hours on Flashing mode, this is a light you can rely on when venturing on longer night rides. 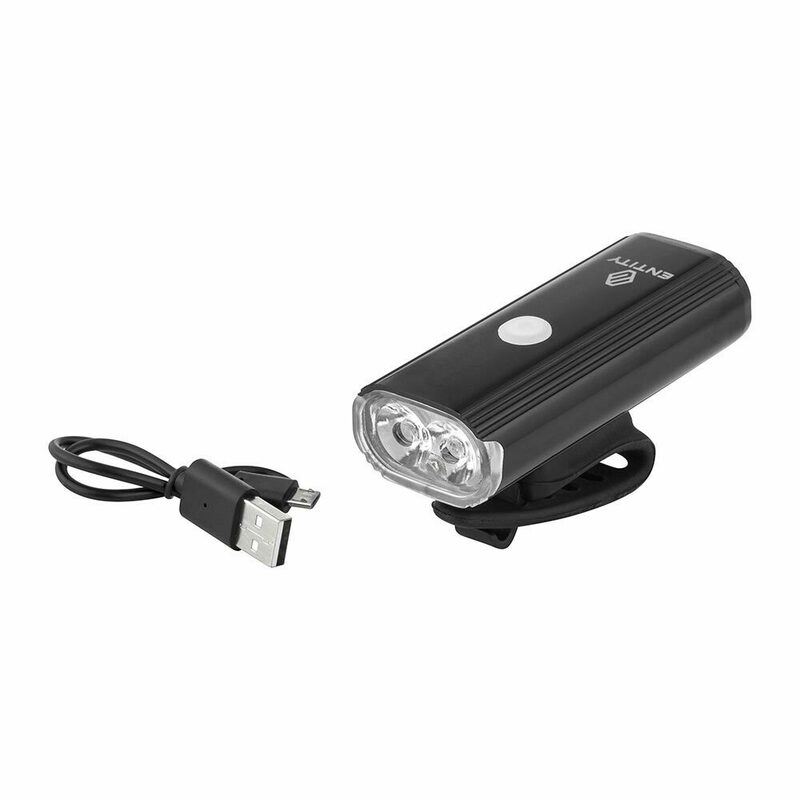 The battery conserving yet attention grabbing "Daylight" mode runs for 15 hours, providing a steady beam which is boosted by a maximum power 800 lumen blast every 1.75 seconds. Help other Entity Cycling users shop smarter by writing reviews for products you have purchased.